Washington Park LIVE! 2015 - Washington Park Association, Inc. This year's #WPLIVE and O'Connell's 5K Run were a huge success thanks to our wonderful community. 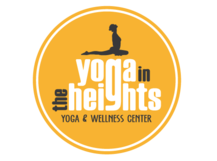 Yoga In The Heights - Come 15 minutes early to sign our liability waiver and find your place. Namaste! Brass instruments have played an important role in the music of many different cultures. Celebrations, remembrances, tributes and dances of all types rely on the versatility of the trumpet, horn and trombone. At some point in our lives, we have all had a personal experience with the feelings evoked by an Olympic fanfare, a military revelry call or a processional. Why can brass instruments make us feel so triumphant, melancholy, sly or reverent? 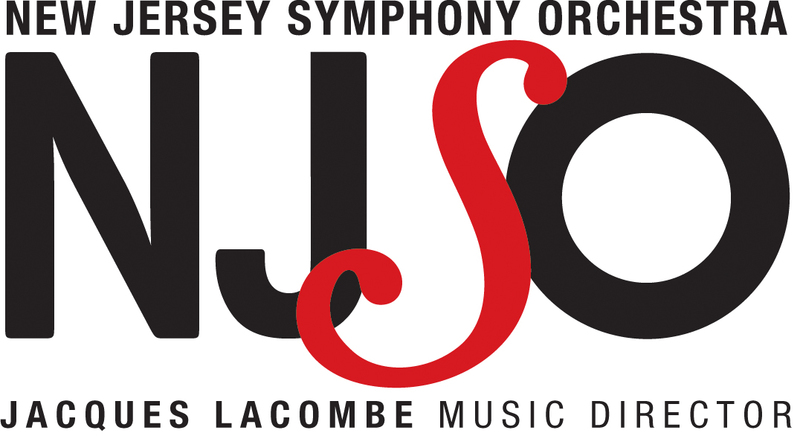 Find out in this interactive experience with members of the NJSO brass section. The Union City Music Project (UCMP) is a child development non-profit organization that uses music as a vehicle for social change by providing students with intensive after-school orchestral instruction, mentoring, and academic tutoring. It is based on El Sistema, the Venezuelan music education model that has a 37-year-history of helping children and their families foster a sense of ambition and achievement. El Sistema has been replicated successfully in 30 countries, and 53 cities in the U.S. The UCMP goes beyond just learning music scales; it promotes fundamental life skills such as self-esteem, self-expression, cooperative learning, discipline, and creativity by teaching music in an orchestral setting. UCMP participants receive free musical instruction and instruments, and have the opportunity to attend a full range of cultural, social, and enrichment experiences for an annual participation fee of $100. The UCMP has been created in partnership with the Union City Board of Education and support from Mayor Brian P. Stack’s Office with a fiscal sponsorship from Artspire, a program of the New York Foundation for the Arts. Santiago Cohen: RAD artist and childern's book author will have his childern's books for sale and hosting readings throughout the event. 11- 11:30 - design a story in 5- 10 drawings. 12- 12:30 - Reading “Home for Navidad” book with time to draw children’s book characters. 1 -1:30 - Collage Cut out images to create characters. 4 -4:30 - Narrate a story in color 5-10 drawings. 6- 6:30 - Reading of first chapter of the “Fifth Name" graphic Novel with drawing of a comic story in 5 -10 panels. #CincoPatasArt : Five Latin American artist who work out of the Park Theater in Union City have created one-of-a-kind large scale art pieces to paint with festival goers. Hacking Height Fashion and Trashion Show by Swap-O-Rama's RAD artist Norene Leddy and Giana Pilar González will join us for the 5 year in a row, hacking donated clothing to create one-of-a-kind looks with a distinst Heights DNA. Margaret Murphy: RAD artist who will lead groups in designing mixed media textiles based on toile* patterns. Using reclaimed sheets and curtains participants will print, stencil and draw with marker on the fabric to create contemporary toile designs. Bring your imagination and drawing skills along with your views on current events to this interactive project. Groups will be small and a sign up sheet will be available. Sessions will be lead at 11am, 1pm, 3pm and 5 pm. Finished pieces will be displayed on site. Nancy Tompkins: RAD artist will be making prints using Styrofoam. Similar to using a rubber stamp, but with stamps you make yourself, which can be used again and again. Create artwork, print a small piece of wrapping paper or just experiment! Abby Denson: Cartoonist Abby Denson will be presenting talks and demonstrations about drawing manga and traveling in Japan. She'll have copies of her books Cool Japan Guide and Dolltopiaavailable for sale. Matt Loux: Cartoonist and Illustrator Matthew Loux, author of the graphic novels SideScrollers and the Salt Water Taffy series, will be selling books, art prints, and original art as well as presenting watercolor demonstrations and interactive drawing and character building exercises. Steve McKenzie - with his printing machine, the Rainbow Roller, will direct and print a large-scale community print. The public is invited to come play, create, have fun and participate in helping to make a REALLY BIG PRINT. The fun starts at Noon, printing begins at 2pm. All materials provided. And remember: Art Puts the Unity in Community. Stephen McKenzie, associated with the Newark Print Shop, has been involved with large scale printing projects for many years, starting in the late 80’s, when he bought his first (steam)roller. He believed that these machines, normally used for paving roads, were really just printing presses, with the added feature of being drivable. With his first roller, Big Yellow, he would trek to Camp Rest-A-While in Pennsylvania for a week of printing using his unique press. Over the course of time McKenzie developed the process of large scale printing to the point where in 2013, with a team of artists, he created the world’s largest monotype print, certified by Guinness World Records. Michael McKeown: Winter Laundry (portions) In Northern England during the 1960s, Monday was washday. The drab back alleys festooned with drying laundry created line after line of billowing sails. The street was transformed, charged with the smells of soap and festival of sound. Geordie Foster, the one-armed coal deliveryman, made very few drops on Mondays, the back alleys made impassable by miles of laundry. This transfiguration of the back lots and alleys became a place to play, fuel for imaginations, space for adventure. A billowing pirate ship or arctic icebergs. It was only an alley but it was ours. Drum Den: The "Den" is opening soon in the RAD on Palisade and Franklin. Visit them to find out more. They will be teaching kids of all ages drumming basics throughout the event. Union City Artist Collective - Over 20 artist will be hand selected by the collective to showcase their art during the day. RJO All-Stars is funky soul boogaloo ensemble comprised of members of RJO & alumni of the festival. It’s mission is to not only bring soul snapping music to the people, but to teach through educational programs, as well as serving as a flagship for RJO in the community. Christine Santelli has been on the NYC music scene for more than 2 decades. She has toured around the world and has released 9 CD’s over her career. Her Songwriting has caught the attention of Soul R&B singer Bettye LaVette, who has recorded two of Santelli’s songs on her last two albums “Step Away” on 2015 release “Worthy” and “Old” 2013 release “More Thankful More Thoughtful. Santelli’s most recent EP, “Limelight ‘69”was chosen 2013 EP of the Year by Deep Roots Magazine. Fronted by acclaimed percussionist Mayra Cassales. Inspired by their diverse musical and cultural backgrounds, Cocomama draws upon Afro-Cuban, Jazz, and South American traditions, playing “hard-hitting” original Latin music deeply rooted in Afro-Caribbean rhythms. Cocomama has performed in Central Park, Metropolitan Museum of Art, the United Nations, and with legendary artists Tito Puente, Machito, Dizzy Gillespie. Kwame Binea is self-proclaimed rocker to the core, but he has peppered his own brand of “Roots Rock” with his fertile and culturally diverse personal saga. He grew up in West London (his birth place) and his native origins in Ghana, moving later to Cherry Hill, NJ as a teenager before setting up home in New York City to unearth his artistic aspirations as a burgeoning songwriter/singer/guitarist. On first look, Kwame’s low-key aura and presence exude pure rock n’ roll. He’s a lithe and fit 6’ 5”, has muscular cut arms, a vivacious smile and a full head of dreadlocks cascading to his mid-back that have been a staple of his identity for the past eight years. The Community for Urban Dance & Art (CUDA) is a New Jersey Based non-profit organization designed for the educational purpose of providing a positive and creative outlet for inner-city youth to practice and showcase diverse art forms founded in the urban culture. Our goal is to stimulate a young person’s talents, enhance self-confidence, personal growth, and appreciation for the visual and performing arts. CUDA has teamed up with diverse groups of artists, musicians, dancers and community organizers to make great programs and workshops available for the youth of Hudson County and surrounding areas. We emphasize and develop skills in self-discipline, teamwork, leadership skills, decision making skills, appreciation of multicultural differences, and community service. With your individual help and support, together we can make our own communities thrive by providing more opportunities for our young people to reach their highest potential. Beer selections from two trucks by Pearless Beverage and Hunterdon Brewing Company. Beer garden attendees (regardless of age) MUST present a valid ID to enter the beer garden. Beers must be consumed within the garden area. IncrediBALLS - 8 different incrediably flavored meatballs on a bun or in a bowl. Lizzmonade - It's not just a drink, it's customized, seasonal and muddled with love. AND they will be serving their unique coffees! Mi Hola Paella - Spains famed celebratory dish and more. Farms In The Heights - The organization responsible for the first farmers market in the Heights, the Riverview Farmers Market every Sunday from May - Thanksgiving. A leader in food, fun, art and community building. Jersey City's Bloomberg Innovation Team - This team has been researching and speaking with JC communities far and wide all year long. They will be asking you where you think they should focus their efforts over the next year? Heights Art Supply - Raquel Rodriguez wants an art supply store in the Heights. Where, when and who wants to help her? Friends of the Loew's - Long time WPA partner who saved the Historic Loew's Journal Square theater from demolition and fights to preserve the theater as a community resourse for arts and music of all kinds.